During the introduction of the city’s Uniform Civil Rights Protection ordinance, Alderwoman Adella Gray was joined by (from left) Chaz Allen, president of the NWA Center for Equality; Steve Clark, president of the Fayetteville Chamber of Commerce; Mark Martin, an attorney at the Martin Law Firm; Danielle Weatherby, Assistant Professor of Law at the University of Arkansas; Lowell Grisham, rector of St. Paul’s Episcopal Church; Clint Schnekloth, lead pastor at Good Shepherd Lutheran Church; and Matthew Petty, Fayetteville alderman in Ward 2. The Arkansas Supreme Court today reversed a circuit court decision to uphold Fayetteville’s civil rights ordinance. The voter-approved measure prohibits business owners and landlords from firing or evicting someone because of their sexual orientation or gender identity. Churches, religious schools and daycare facilities, and religious organizations are exempt from the law. 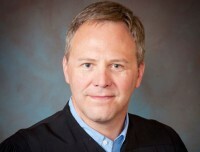 When first challenged, Washington County Circuit Judge Doug Martin ruled that the ordinance does not violate a state measure prohibiting cities from enacting protections not already covered by state law. The Arkansas Civil Rights Act already prohibits discrimination on the basis of race, religion, national origin, gender and disability — but not sexual orientation or gender identity. 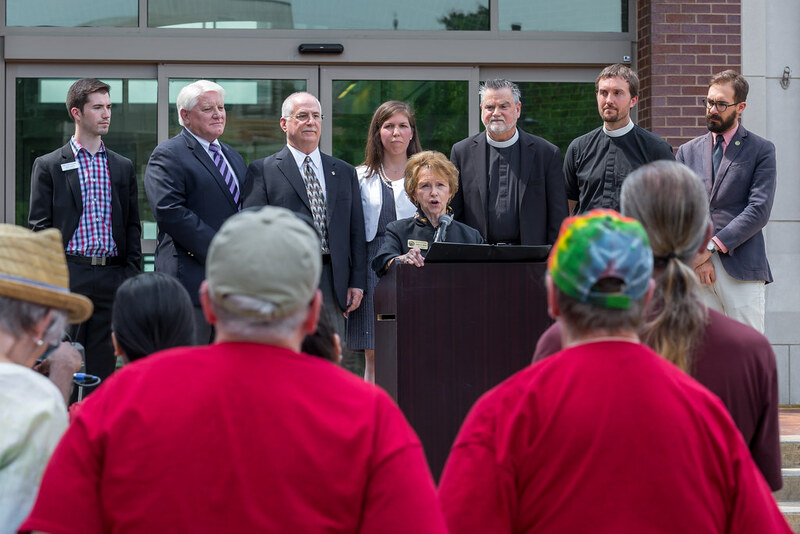 Because Fayetteville’s law protects LGBT people, Attorney General Leslie Rutledge and supporters of Act 137 said the city directly violated state law by protecting those two classes. 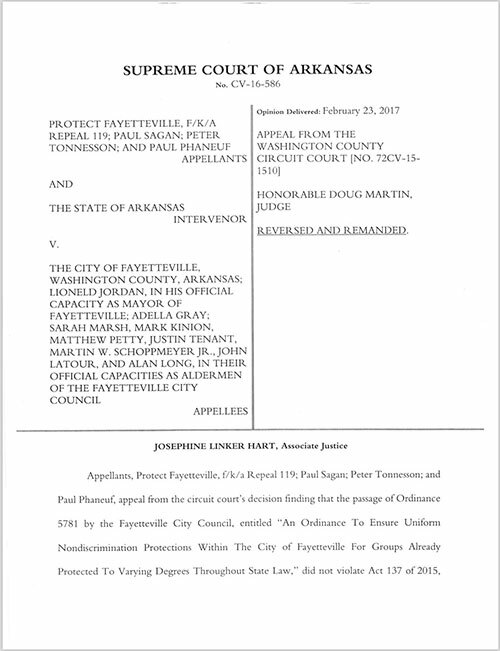 Judge Martin agreed with Fayetteville City Attorney Kit Williams’ argument that state law does in fact already mention both classes in several sections of the Arkansas Constitution, including policies related to anti-bullying, domestic violence shelters, and birth certificates. However, the Supreme Court disagreed and overturned Martin’s decision. In essence, Ordinance 5781 is a municipal decision to expand the provisions of the Arkansas Civil Rights Act to include persons of a particular sexual orientation and gender identity. This violates the plain wording of Act 137 by extending discrimination laws in the City of Fayetteville to include two classifications not previously included under state law. This necessarily creates a nonuniform nondiscrimination law and obligation in the City of Fayetteville that does not exist under state law. It is clear from the statutory language and the Ordinance’s language that there is a direct inconsistency between state and municipal law and that the Ordinance is an obstacle to the objectives and purposes set forth in the General Assembly’s Act and therefore it cannot stand. The justices, however, did not rule on the constitutionality of Act 137 – as requested by Rutledge – since it wasn’t addressed by Martin. The case now heads back to the circuit court. We wholeheartedly disagree with the Arkansas Supreme Court’s ruling today declaring Ordinance 5781 unenforceable. We maintain that the Ordinance complies with Act 137 and should’ve been upheld. On remand, Circuit Court Judge Martin will consider the constitutionality of Act 137, an issue that the Arkansas Supreme Court did not resolve. We believe that, after a full briefing on the issue, Judge Martin will declare Act 137 unconstitutional and the issue of Ordinance 5781’s legality will become moot. Meanwhile, we are disappointed that the Arkansas Supreme Court’s order did not preserve the status quo by allowing Ordinance 5781 to stay in effect pending the resolution of the constitutional question.